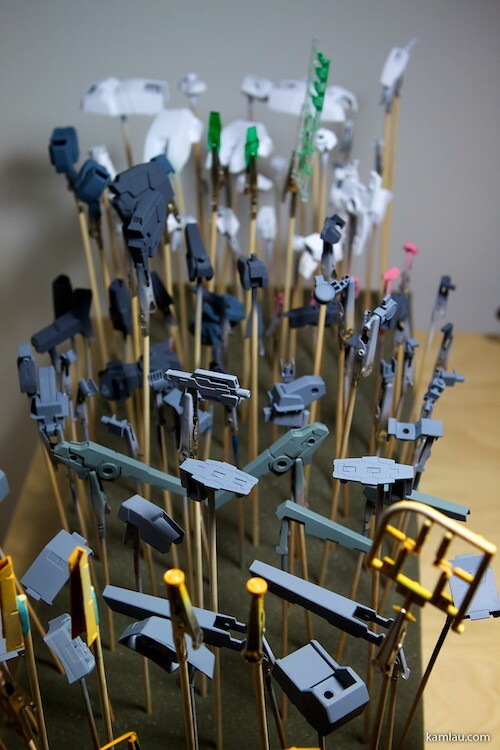 Months went by since I last worked on my HG Seravee Gundam…. 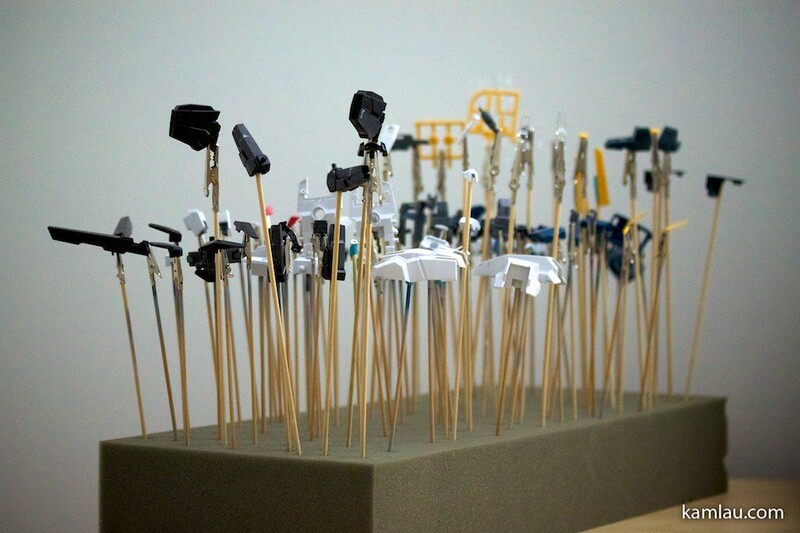 It was a busy summer for me and I ended up not being able to work on any of my gunplas. So now I have a very big backlog of them. Time to get working again! These are a couple of photos I took before taking it apart for airbrushing. 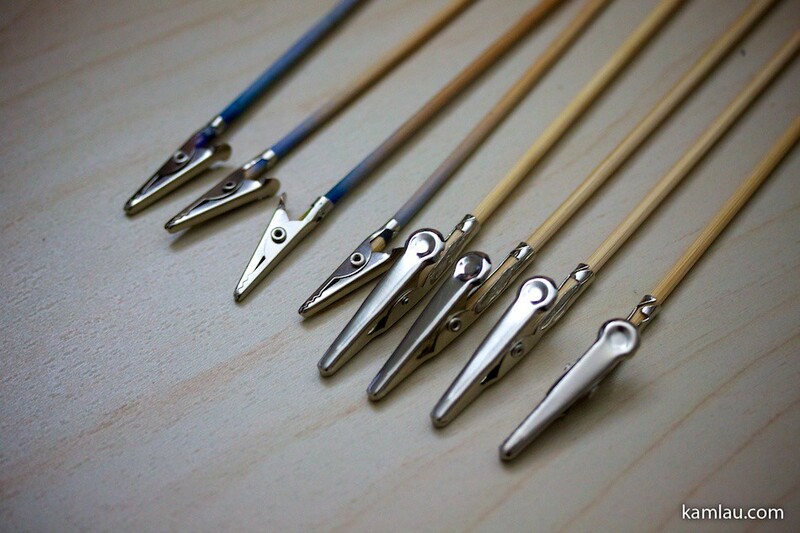 When I went through my tools, I realized I was running low with clips for airbrushing. 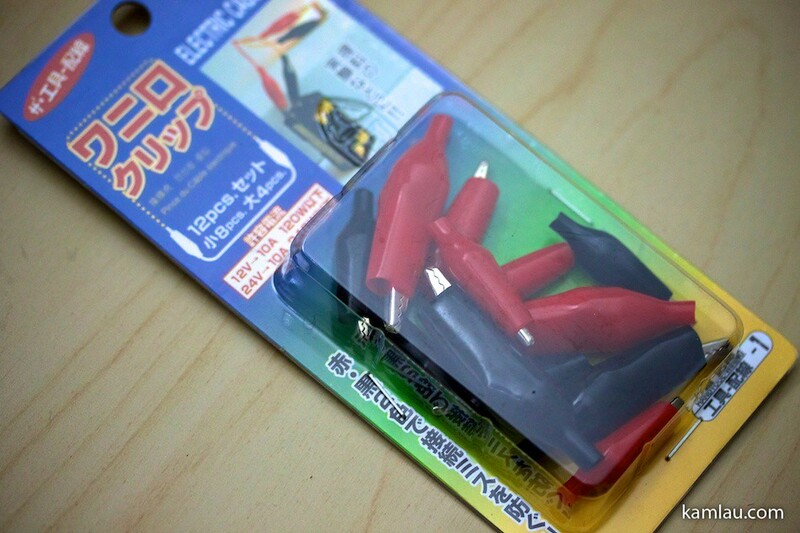 So I went to Daiso and go myself some alligator clips. 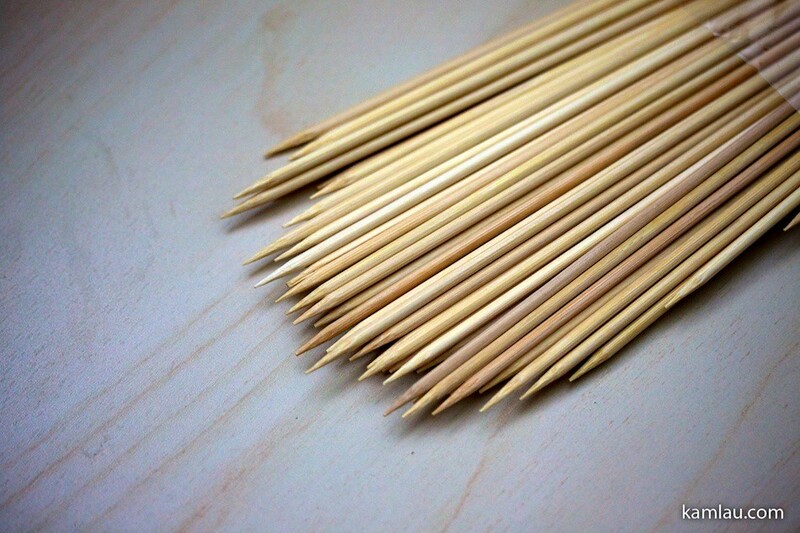 These skewer sticks are useful as a handle for the alligator clips. Didn’t take much effort to make one. 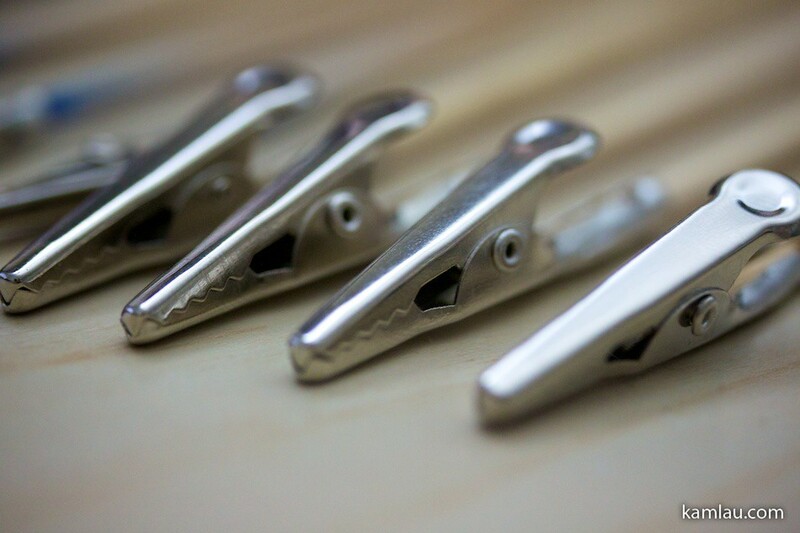 The pack of alligator clips comes with clips of two sizes. They are shiny when they are new…. before any paint got onto them. Here is an example of how to use them. 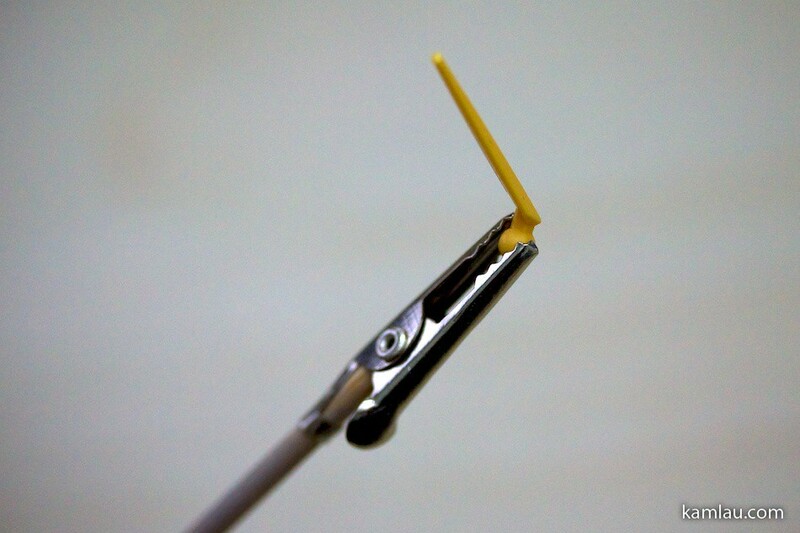 If you paid attention, you might have realized that the pointy end of the skewer stick is on the opposite side of the alligator clips so that they can be inserted and secured to a piece of foam. 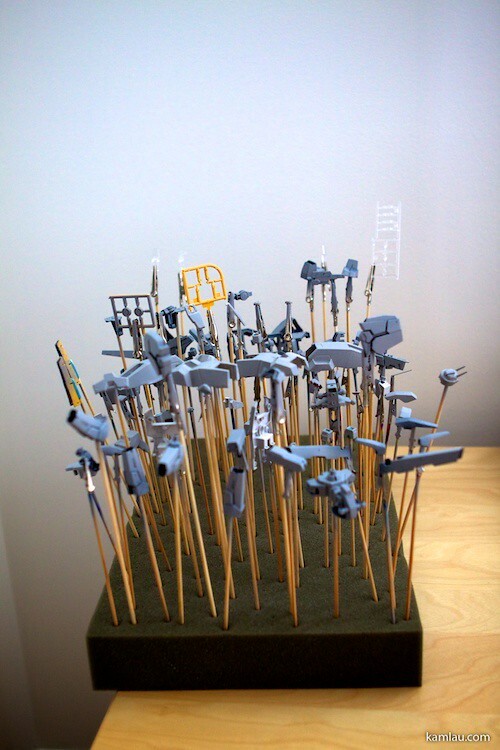 With all the pieces secured to the clips, they are “primer ready”. Primer prepares the plastic surface for paint. It also provides a consistent base color so that you are not airbrushing your color to the original plastic colors. On top of that, because the primer gives you a very flat looking color, any surface imperfection can easily be detected. Okay, most of the pieces got primer on at this stage. The clear parts, of course, don’t need any primer. I haven’t done this for a while so that primer application is not very even. I found the Tamiya surface primer difficult to use and is quite expensive. I will have to look for an alternative. Anyone got any suggestions? 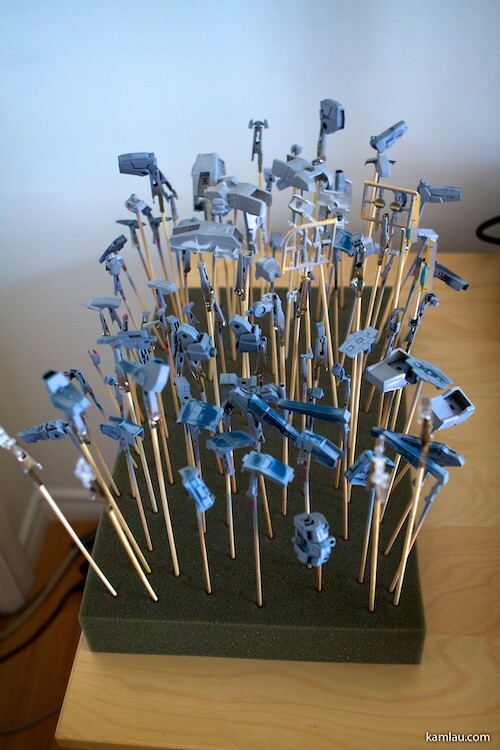 This is a lot of work even for an HG model…. HG models got a lot of pieces these days. 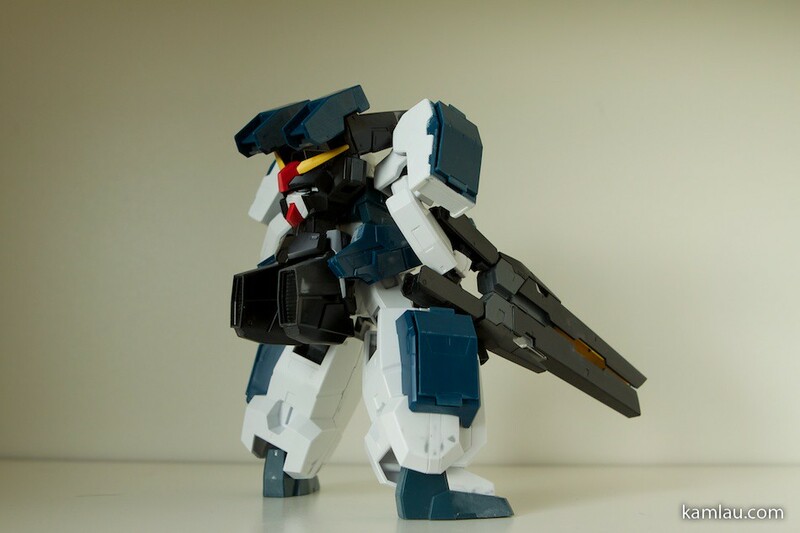 The color separation is better than the old kits but still not as good as the MG models. 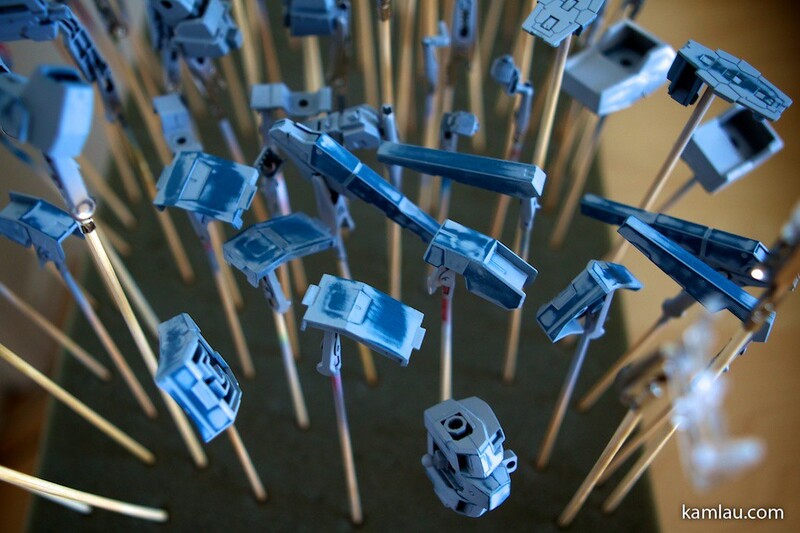 Of course, the MG models are bigger and that means more paint and time will be required to finish them, too. 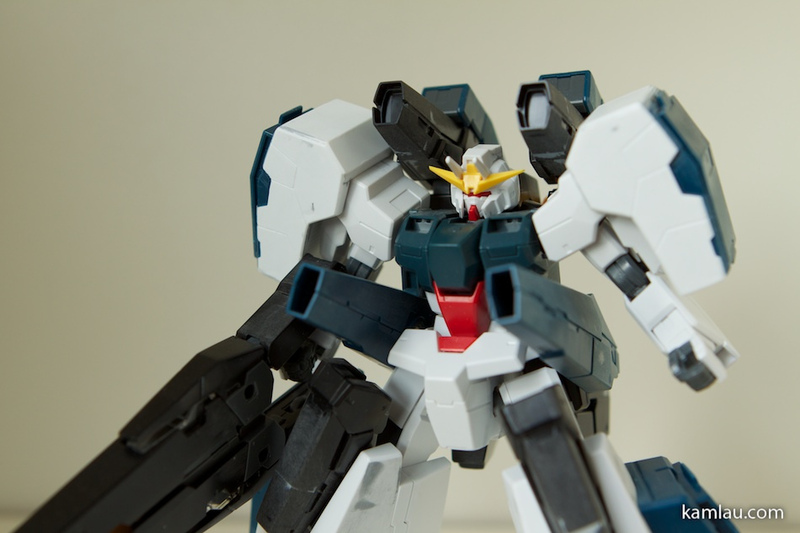 I am happy that the arms of Seraphim Gundam are turning out okay. The plastic pieces were pretty uneven in the beginning. After working on it for a while, I got the first pass of color painted on the parts. The color is a bit off for some parts so I will have to do a second pass. I was airbrushing them at night and my light source is not pure white. So that introduced some color errors. 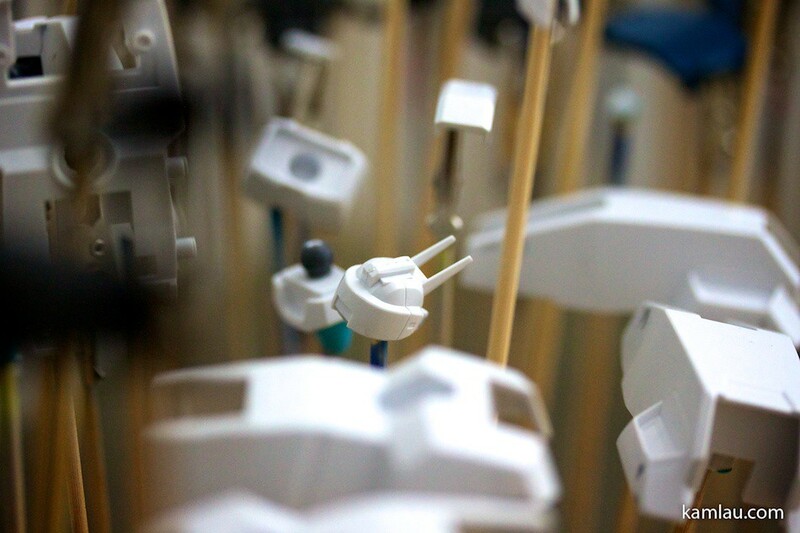 Hopefully, I can find more time in the coming weekends to continue with this gunpla. 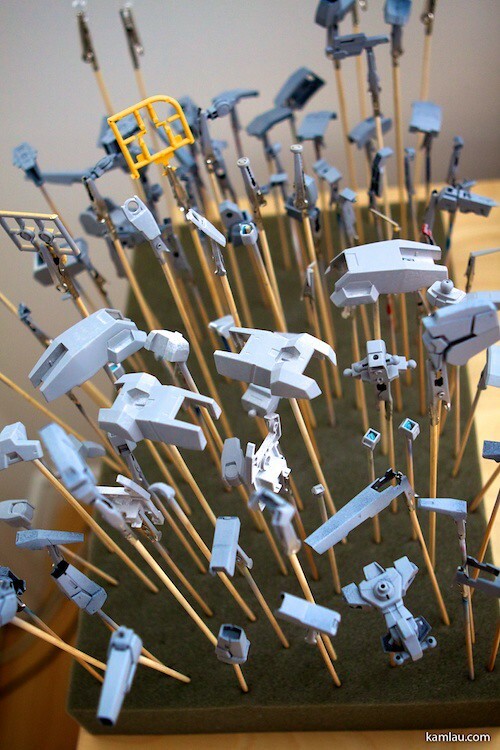 Great to see you resuming your gunpla. I’ve been very lazy the few months. 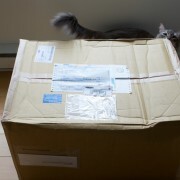 Haven’t started w/ my RG Gundam yet, it’s almost 2 months sleeping on the shelf. Yes, it is a hobby that takes a lot of time, especially when I haven’t done it for so long. Please make some gunpla and show us, too! 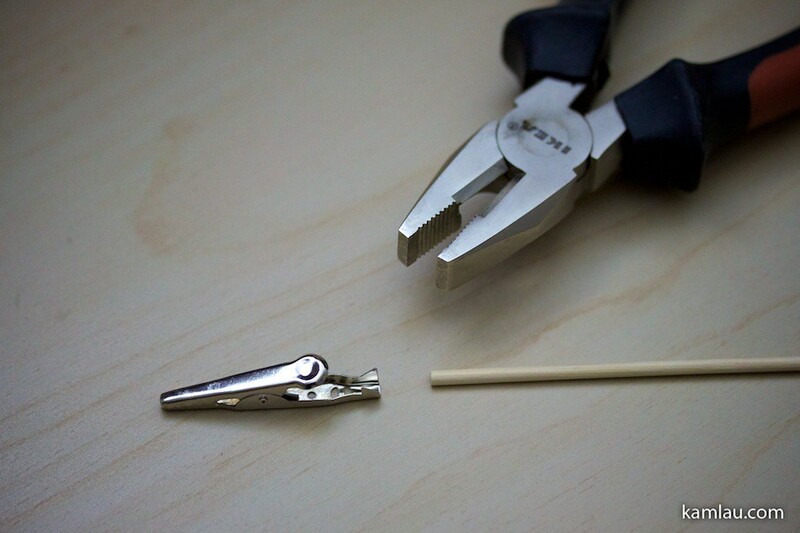 Wow, good alligator clips technique! 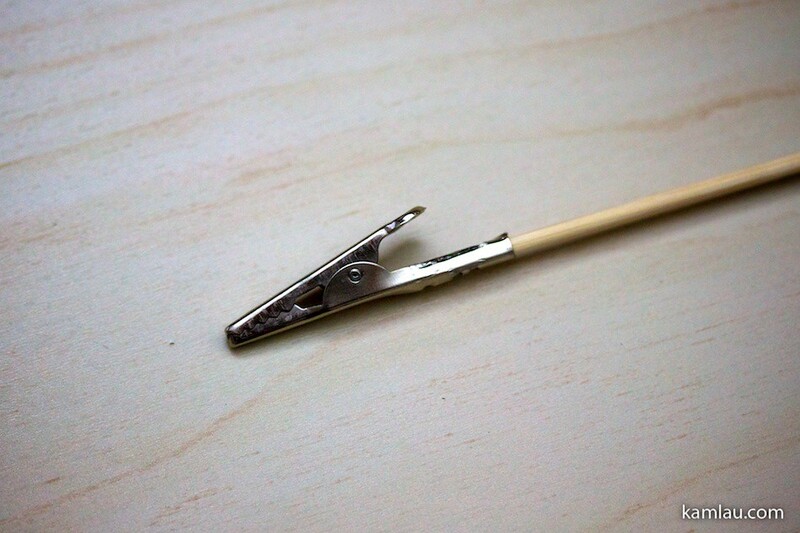 May have to do it this way too… I just don’t have an airbrush, lol. I am still using the Tamiya surface primer. Expensive and sometimes a bit messy. 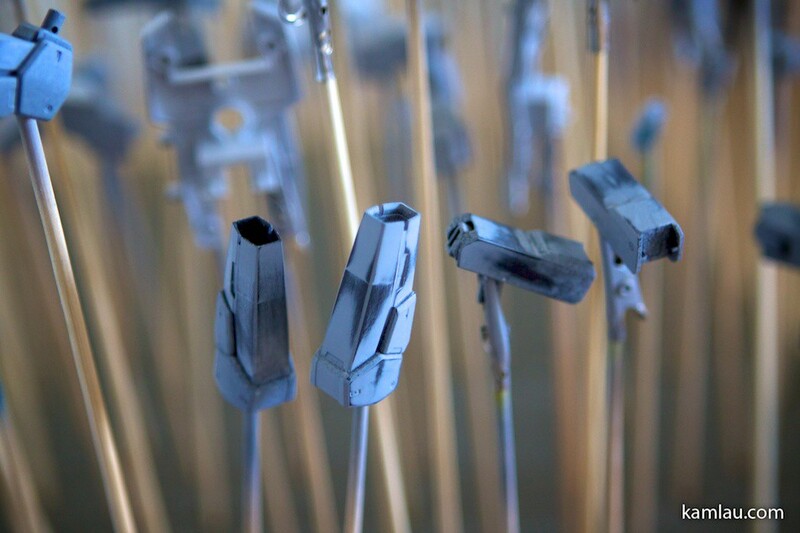 I tried some generic paint primer from hardware store before and applied using an older airbrush but because it had to be thinned down, the consistency is difficult to control and therefore I went back to using the Tamiya surface primer. The Tamiya primer does the job. You have to test the nozzle and ensure it is not splattering.